Home / Manic Mondays! • Pretty In Pinky / Manic Monday! Pinky Grabs A Toothpick, Chewing Gum and a Paperclip After Meeting MacGyver Star Richard Dean Anderson! 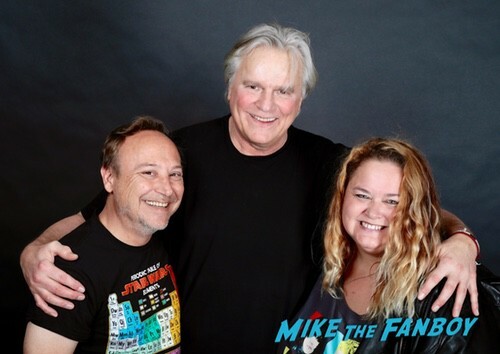 Pinky headed down to the Hollywood Show this weekend to meet MacGyver star Richard Dean Anderson. She loved the show growing up and meeting the star was such a thrill. Hello, my lovelies. Pinky Lovejoy-Coogan here feeling grateful after a fun weekend spent at the Hollywood Show. We were able to meet so many great stars! 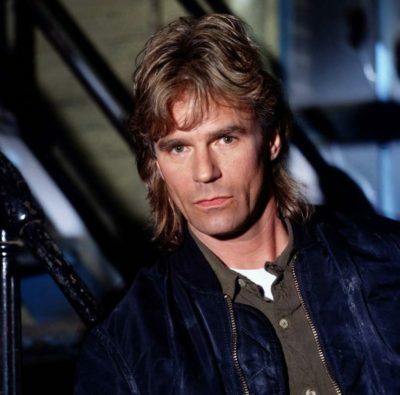 One of best, though, had to be Richard Dean Anderson from MacGyver. Who didn’t love the original MacGyver?!?! As I’d never even seen him before, I really wanted to get a picture with him. Unfortunately, he wasn’t doing photo ops at the table, so we had to get the professional pic (which aren’t usually my favorite). Thankfully the picture turned out pretty cute. So fun meeting him! And huge thanks to our friend who helped get us the picture. Score! Pretty In Pinky! Live From Sundance 2012! Pinky… Pulls a Pinky and Scares Josh Radnor! Aubrey Plaza Disses! Plus Do You Call Ice-T Mr. T !?! With Melissa Leo! Octavia Spencer! Aaron Paul and More! 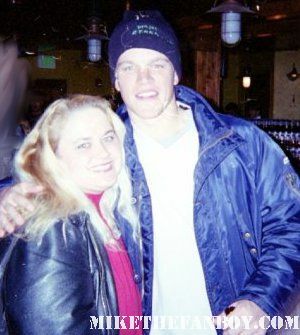 Pretty In Pinky: Meeting Good Will Hunting Himself Mr. Matt Damon At Sundance! Manic Mondays! Pinky Turns All Yellow After Meeting Coldplay’s Chris Martin! Random Los Angeles Encounters!